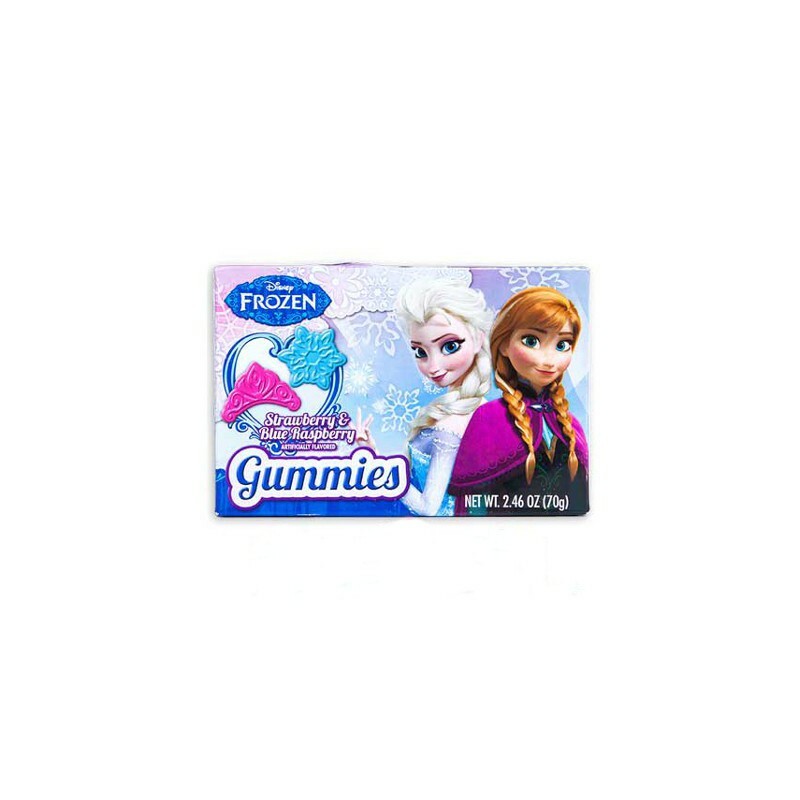 Your favorite Disney princesses present tasty gummy candies from the hit animated feature, Frozen! 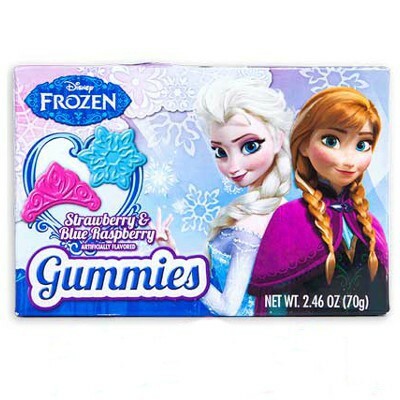 These blue (blue raspberry) and pink (strawberry) sweets come in crown and snowflake shapes, and the attractive packaging with Anna and Elsa makes this an excellent gift! 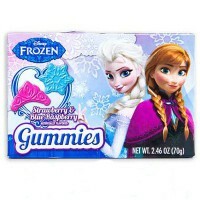 Stuff your stockings this holiday season with our tasty American candies from Frozen! Corn syrup, sugar, gelatin, humectant E420, modified starch, dextrose, acidity regulators E330-E331, artificial flavors, pectin, glazing agent E903, colors E171-E129*-E133, May have a laxative effect on sensitive individuals. *May have an adverse effect on activity and attention in children. Contains GMO. Nutrition facts (for 100g): calories 348Kcal, total fat 0g (saturated fat 0g), total carbohydrate 78.3g (sugar 52.2g), protein 8.7g, salt 0g.